Fallout 4 Far Harbor has three endings. Wait, make that four. Eight. Quite a lot? Hello, spoilers. The major differentiations of the ending of Far Harbor are effected by your actions during the last two quests – The Way Life Should Be and Cleansing The Land – which run concurrently and are inter-related. Some smaller differences depend on your persuasion skills and how many side quests you’ve done. If you have mortally offended one of the factions, you’ll find some options are closed to you. If you’ve been following our Far Harbor walkthrough, you should be ready to dive right in. If you made a decision to inform either the Brotherhood of Steel or the Institute about Acadia as you played through the DLC, your scenarios will differ. Informing the Railroad results in an NPC making their way to Acadia, with no consequences that we noticed. Taking action in Cleansing the Land can close The Way Life Should Be prematurely, so let’s resolve The Way Life Should Be first. There are several points throughout this route where you can back out if you change your mind. Confront Avery, speak to Allen, and have Teddy examine the skull. The ending will initiate if you then show Allen the proof. Depending on how many side quests you’ve done (or your persuasion skills), Avery’s fate hangs in the balance. The residents of Far Harbor will wipe out Acadia; you can participate or just watch the assault. Kasumi will be killed. Speak to Allen afterwards and you’ll receive a perk that boosts damage at low health. You will need to go on to destroy either Far Harbor or the Nucleus to end the story. If you don’t show Allen the proof, or just ignore that route altogether, you can confront DiMA about his actions and demand he turn himself in. You need to pass a very high persuasion check to manage this. In the trial that follows at Far Harbor, the number of side quests you’ve done and your persuasion skills will determine whether the residents march on Acadia or not. DiMA will be killed either way, but Kasumi’s fate depends on Acadia’s. You will need to destroy either Far Harbor or the Nucleus to end the story. DiMA will suggest a third way to resolve the tensions on the island, via the quest Reformation. He’ll also give you a sweet bit of armour. Kasumi lives. This leads to a potentially killing-free ending to the story. When you’re finished, you should check out Far Harbor side quests or go to our Fallout 4: Far Harbor DLC guide. This option wipes out the Children of Atom. After inserting the key, you have about 30 seconds to escape the Nucleus through the now-hostile Children of Atom. You’ll receive a perk that increases damage resistance, and can speak to Allen in Far Harbor for a reward. This option wipes out the residents of Far Harbor. You need to find four industrial fuses to open the security door; there’s one on a bench by the fuse box and three on shelves near the door itself. They aren’t marked till you try to activate the fuse box and get very close to them. Battle past an Assaultron to the Turbine 003 terminal and choose the third option to shut down the turbine. Report your actions to the High Confessor to finish the quest and be rewarded with some armor and a perk that increases weapon damage based on rads. There is little point to this: you don’t get a second perk, an achievement or any extra XP. Acadia will not turn hostile (assuming it exists), but DiMA won’t talk to you after one angry conversation (assuming he is alive). Only available if you settled matters peacefully with DiMA and agreed to his plans. Visit Martin’s radiation-filled sanctuary and take the two holo tapes – one on the desk and another by the bed. Return them to DiMA, then say you’re ready and travel to the Nucleus. You’ll need to finish the What Atom Requires side quest to proceed, if you haven’t already. Tell Tektus about the tape and play it for him, then meet him in the maintenance tunnels of the Command Center. You can persuade him to run away rather than kill him, if you’d prefer. Return to DiMA and have a chat to end the story and receive a perk that boosts damage resistance at low health. All factions coexist in peace. Stop by the Nucleus one more time to chat things over with Tektus Mk 2, if you like. 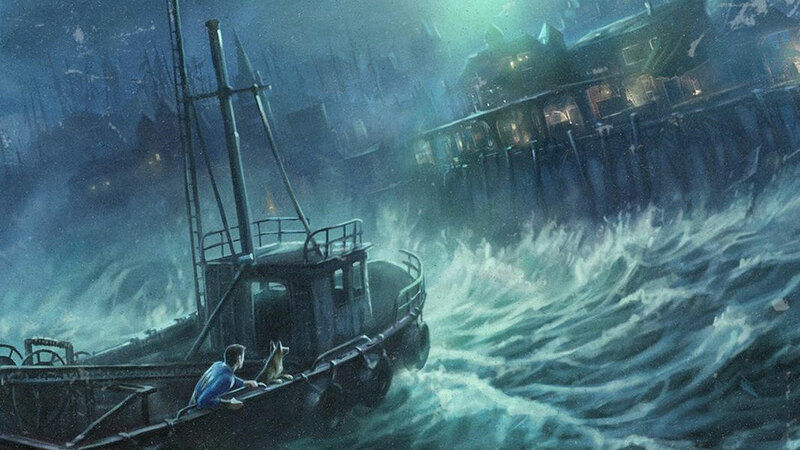 With Cleansing the Land down, you can complete Far Harbor with one last quest – Close to Home. Determine Kasumi’s plans, if she is alive, and speak with Mr Nakano back on the mainland to finish things off. So which of these many possible combinations is the right one? Who knows! Our advice is to do all available side quests before you make any of these decisions. Get to know all three island factions. Think about your allegiances with mainland factions. We trust you to do the right thing – or at least the most epic one.